The world's largest airline announced Sunday that it will cancel approximately 90 flights per day through June 5, "in an effort to provide more certainty and avoid last minute flight disruptions," while it awaits information from aviation authorities before resuming operation of its 24-strong fleet of 737 Max jets. American Airlines previously announced it would cancel flights through April 24. "By proactively canceling these flights, we are able to provide better service to our customers with availability and re-booking options," the airline said in a press release Sunday. On March 13, the U.S. Federal Aviation Administration followed its global counterparts and grounded the country's 737 Max planes in the wake of two recent crashes involving the aircraft that killed everyone on board. (STR/EPA via Shutterstock) An Ethiopean Airlines Boeing 737 Max 8 parked at Bole International airport, Addis Ababa, Ethiopia, April 4, 2019. A total of 346 were killed in the Oct. 29 crash of Lion Air Flight 610 and the March 10 crash of Ethiopian Airlines Flight 302, both of which involved Boeing's new 737 Max 8 jet. A preliminary report released last Thursday by the Ethiopian Ministry of Transport's Aircraft Accident Investigation Bureau revealed that the American-made aircraft had a valid certificate of airworthiness, the crew were licensed and qualified to conduct the flight and the plane's takeoff appeared normal. 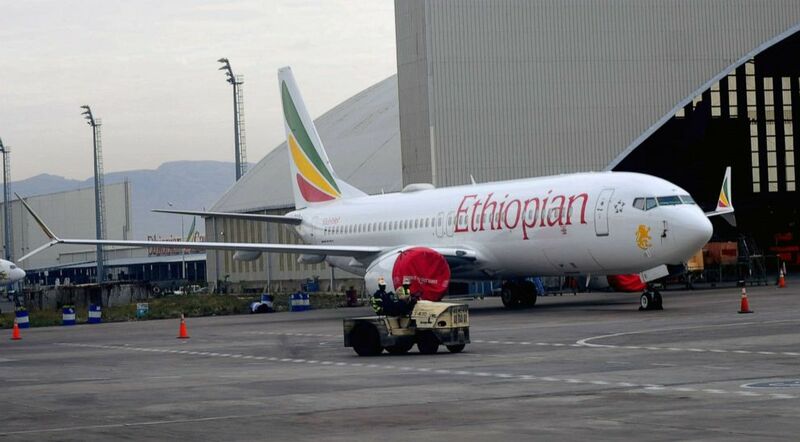 But the jet began nose diving in clear skies just minutes after liftoff from Addis Ababa Bole International Airport in Ethiopia's capital on the morning of March 10. 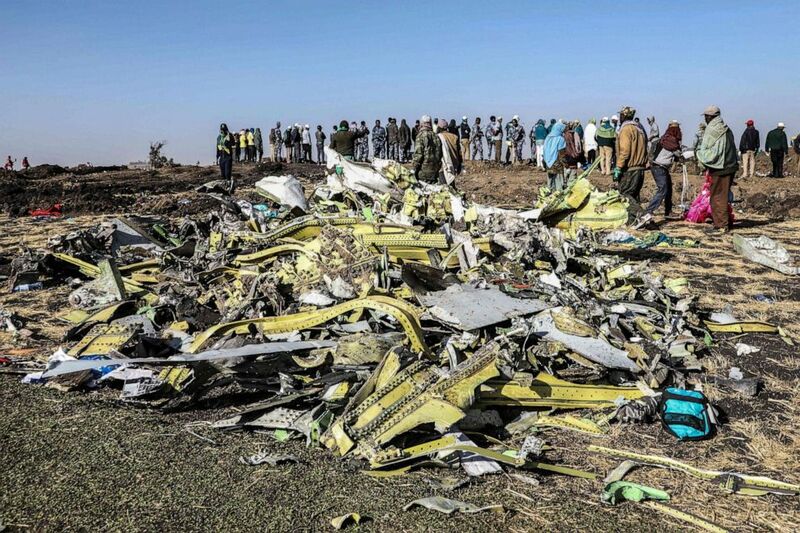 The aircraft, en route to Nairobi, Kenya, crashed in a village southeast of the Ethiopian capital. According to the preliminary report, data from the flight data recorder and cockpit voice recorder indicates that one of the plane's angle-of-attack sensors began fluctuating shortly after takeoff and sent "erroneous" information. This activated a new anti-stall safety system on the Boeing 737 Max 8 that controls trim, known as MCAS, which is believed to have pushed the nose of the aircraft down. The pilots followed the "emergency checklist" but could not take back control of the aircraft, according to the report. Sources have told ABC News the Lion Air Boeing 737 Max 8 also struggled to maintain a steady flight path and the MCAS was activated before the jet crashed into the Java Sea off the coast of Indonesia on Oct. 29, 2018. Boeing issued an apology following the report's release and, for the first time, acknowledged its automatic flight control system played a role in the two crashes. "The history of our industry shows most accidents are caused by a chain of events. This again is the case here, and we know we can break one of those chain links in these two accidents," he added. "As pilots have told us, erroneous activation of the MCAS function can add to what is already a high workload environment. It's our responsibility to eliminate this risk. We own it and we know how to do it."